Well it's not really hated on, but it's the middle of the road album for Pavement so to speak, where they started to evolve from an amateurish post punk wannabee band to a cohesive band with classic rock influences. Doesn't take a rocket scientist to figure out which one the Pitchfork crowd prefers. I stopped updating this for several reasons, primarly because of Unfan, Caveman and Sam being goddamn annoying. But, I guess it's time to get this going again. I'm not a crazy big fan of this whole post rock thing but I make a major exception for Sigur Ros. Their music is really hard to get too in depth about really, what much is there to say? It's really purdy. Few bands can make music sound as atmospheric and larger than life. It always pisses me off when my fellow proggies at the archives go on about how this band isn't progressive because they use repetitive song structures. Give me a f*cking break. Favorite tracks: Svefn G Englar, Starálfur, Olsen Olsen, Agaetis Byrjun, Ný batterí. Further proof that DJs can indeed be virtuosos, what this guy does with software synthesizers and samples defiies explaination. He creates the craziest rhythms imaginable. It seems very chaotic from initual hearing but that's just an illusion, it's so tightly structured and what amazes me about electronica is how limitless and how much complete control the DJ has over everything like it's his own persona orchestra. You never know what kind of sounds will pop up. Favorite tracks: 4, Cornish Acid, Fingerbib, Corn Mouth, Logan Rock Witch. This band grows on me more everyday. This isn't their most consistant album but the strongest tracks more than make up for it. 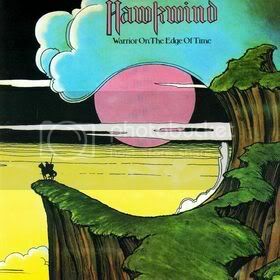 Very rarely does a band's music fit perfectly with their album covers but Hawkwind is one of those bands, it really doesn't sound like anything from this planet. The music is layered with guitars, sax, flute, violin, synths and mellotron and all blends together into one groovy psychedelic stew of awesomeness. 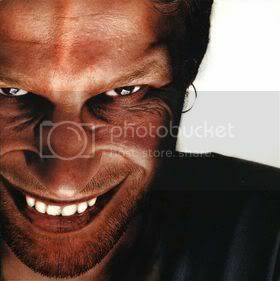 And don't get me wrong, I could easily gone with Hall of the Mountain Grill, also a suberb album. Favorite tracks: Assault and Battery, The Golden Void, The Demented Man, Magnu, Spiral Galaxy 28948, Dying Seas. Goddamn, what a guitar sound this John Squire fella has. Combining 60s brit rock and 80s post punk would makes for such a sublime sound, this is just a lovely sounding record and range of different moods it takes you through is just effortless. It's a shame this band broke up so quickly, to say they had promise is an understatement. 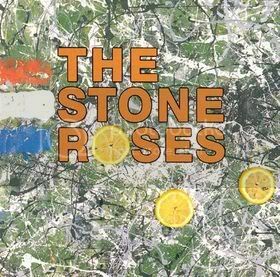 Favorite tracks: I Wanna be Adored, She Bangs the Drums, Waterfall, Bye Bye Badman, I Am The Resurrection. Last edited by boo boo; 03-23-2010 at 08:47 PM. I don't really like Sigur Ros myself (can see where the appeal is, but they're just not my thing), but top marks for the other three picks. My brother has Warrior On the Edge Of Time on 12" vinyl, and just looking at the gatefold sleeve alone is almost as good as the music. Good to see this thread back in business as well - one of my favourite album lists on the boards this. Further proof that DJs can indeed be virtuosos, what this guy does with software synthesizers and samples defiies explaination. He creates the craziest rhythms imaginable. It seems very chaotic from initual hearing but that's just an illusion, it's so tightly structures and what amazes me about electronica is how limitless and how much complete control the DJ has over everything like it's his own persona orchestra. You never know what kind of sounds will pop up. One of my favorite all-time albums. Not sure what his occasional DJ performances has to do with his studio work, though. True that he first gained exposure by DJing and including some of his own produced tracks, but he's not a turntablist. I wish I had come across this thread sooner, its pretty great. I've written down all sorts of albums you've listed on here that have perked my interest. Hate on classic rock all you want, I have NEVER met a person who dosen't like CCR, in fact, they're the ONLY band in existance I can think of that no one talks trash about. Their music has such a universial appeal to the point that I'm convinced that anyone who dosen't like CCR, just dosen't like music. They're one of the best singles bands of all time. Their music defines music better than most rock bands could ever hope to achieve. It's hard to believe these guys are from California, they sound so damn southern. And Fogerty is such a great songwriter, and he has that distinctive voice that sounds like whiskey and cigarettes, and that delicious country fried guitar sound, and he tells these very poignant tales and coats them in honey like Lennon did that catches you off guard. 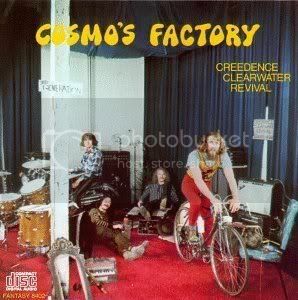 It's funny, because CCR is my grandma's favorite band, yet she's very conservative, it's funny when she sings along to a song like Run Through the Jungle, then I have to explain to her what the song is actually about. Favorite tracks: Run Through the Jungle, Around the Bend, Ramble Tamble, I Heard It Through The Grapevine. I say you're 100% dead on with this one. Along with, like you said, that ability to coat those poignant tales in honey, I have a feeling that him selling the rights of his songs is part of the reason people often misconstrue the message of his songs. Christ, what a stupid move that was. I remember the big scandal when Wrangler jeans used 'Forunate Son' in one of their commercials twisting the meaning of his lyrics and using just peices of them to make him sound gung-ho patriotic. It pretty much mocked everything he was trying to say in his song. Ah, just another reason to hate Wrangler jeans. I happen to like wrangler jeans, they're affordable, stylish, and comfortable. Great job .... just don't quit again. Lol, I wrongfully use DJ as a term for electronic musicians in general. I say you're 100% dead on with this one. Along with, like you said, that ability to coat those poignant tales in honey, I have a feeling that him selling the rights of his songs is part of the reason people often misconstrue the message of his songs. Christ, what a stupid move that was. I remember the big scandal when Wrangler jeans used 'Forunate Son' in one of their commercials twisting the meaning of his lyrics and using just peices of them to make him sound gung-ho patriotic. It pretty much mocked everything he was trying to say in his song. Ah, just another reason to hate Wrangler jeans. Yeah I know what you're talking about. I used to think it was a very patriotic song until I really paid attention to the lyrics. It's probably the definitive Vietnam war song, either that or Run Through the Jungle. Ads twist the meanings of songs all the time. It's pretty funny. Last edited by boo boo; 03-23-2010 at 09:17 PM. you won't be continuing this?